He tossed a coin and it fell on the floor and the packed audience looked at the speaker in curious anticipation. It was at the Physics Lecture Theatre or PLT1 at the Presidency College, Calcutta – sometime in the 1960s. It was the turn of this science student to proclaim the superiority of science over arts. His opponent had just finished a highly intellectual and passionate defence of humanities, swaying the audience with his erudition. Then he started slowly – “as you have just seen, the coin dropped as it drops everywhere all the time, it fell the same way in Dhaka too. But when I studied history at my Dhaka school a few years back, I was taught Aurangzeb was the best Mughal emperor and Akbar the worst and then I was forced to undertake a bus journey to this side of the border and my friends here taught me that Akbar was the greatest of all and Aurangzeb was a bigot”. Re-naming of streets, cities, universities and institutions is a typical Indian affliction – we are always eager to erase vestiges of colonialism, to pamper so-called local or community sentiments etc. 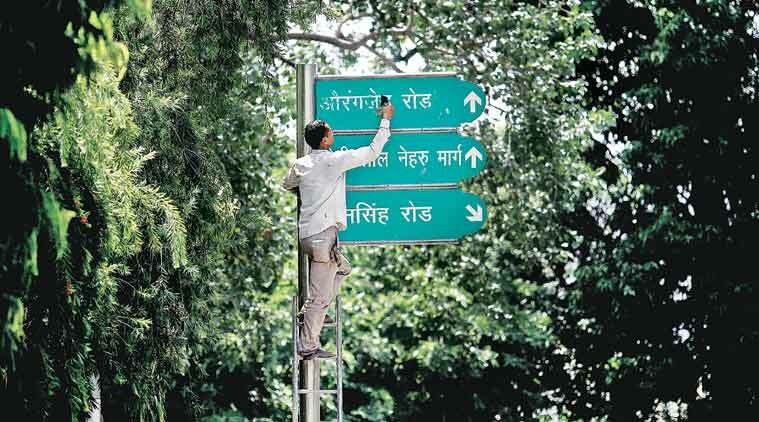 If road names are to be reviewed on the basis of their deeds then it would be a particularly difficult task for the civic authorities in New Delhi. Lodhi Garden and Lodhi Road should be renamed first as they were not only inept but notoriously cruel (forget about common people, one Lodhi Prince was skinned alive for rebellion and then his flesh was cooked with rice and forced fed to his widow and children). 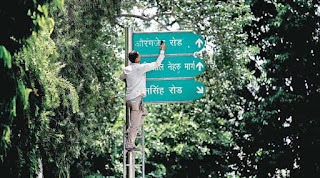 I don’t know Tughlaq Road is named after sadistic and whimsical Muhammad Bin or bigoted Firoz (son of a Hindu mother, destroyed temples and tortured Brahmins at places as far off as Kangra and Orissa) but either way we must rename this thoroughfare immediately (additionally one has to think about renaming Feroz Shah Kotla Stadium). And when you start digging, such problems are endless – why not re-name QutabMinar, where physical evidences of temple destruction are visible even today. Why only Muslim rulers, even the record of Ashok, before the Kalinga war, was terrible – in comparison to Aurangzeb’s three, Ashok killed 99 brothers/claimants to the throne. Finding another important stretch of road in the heart of New Delhi to name after APJ Abdul Kalam was not that difficult. We have important roads named after foreign leaders, completely rejected in their homelands (Tito or Nasser), long forgotten or hardly known anywhere else outside their home country (Archbishop Makarios – from Cyprus or San Martin – Argentine liberation hero). But the point is of course to erase the legacy of a bad Muslim leader and replace him by a good Muslim – a sentiment that would have shocked Kalam more than anyone else, had he been alive. When Pakistan was created in 1947, the ruling elite wanted a history of their own – as different from history of Hindustan. As a perfect example of nations as “imagined communities” – they tried to erase or ignore memories of centuries of shared living and found myths of two different nations through the ages. In some of the extreme cases, beginning/creation of Pakistan was pushed back to Muhammad Ghori or Mahmud of Ghazni and even to Muhammad Bin-Qasim, who conquered Sindh briefly in early 8th century. Historians of eminence like I H Qureshi (taught at St Stephen’s before Partition) and A H Dani(received Ph D in Sanskrit from BHU) led this effort to Islamize the history of sub-continent. And it resulted in proclaiming Akbar as someone, who let down the cause of Islam and Aurangzeb as the true Islamic hero, who had to face the Hindu backlash. It was the historiography of a nation born opposing the so-called Hindu hegemony. Aurangzeb ruled over the largest ever Indian empire before the British. His rule stretched from Kashmir in the North to Gingee in deep South and from Hindukush-Balochistan in the West to Assam in the East. Though the stories of him earning his own expenses by stitching caps etc are exaggeration but he was austere in his lifestyle in marked contrast to his predecessors. After Akbar, among the Mughal Emperors, he was the only other military genius. 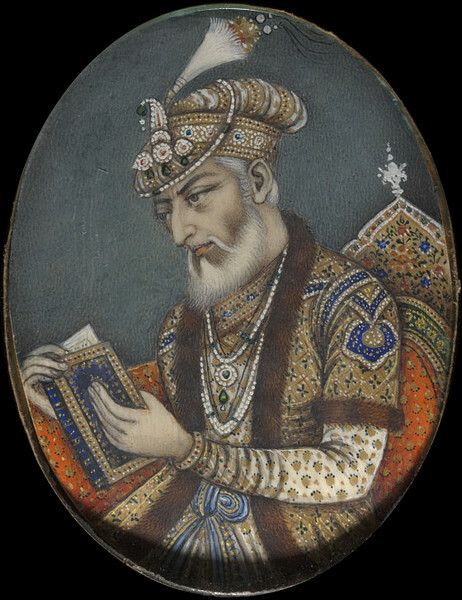 As a stern ruler, deeply committed to justice, he was indefatigable – a European traveller was amazed to see how Aurangzeb then in his late eighties, was reading every petition without any glass and writing answers himself, mostly on the petition itself. Neither his sons nor any noble could dare to disobey his orders, for misconduct, he kept one of his sons in jail for 14 long years. As someone, who ruled such a vast empire for nearly half a century, Aurangzeb, no doubt was an extraordinarily capable person but at the same time he was a complicated character. Often he did what suited the situation and his interest at that particular point in time. So it is meaningless to argue whether he destroyed temples or provided grants to them (both actually) or he employed more Hindus (factually correct) than even Akbar in higher administration or he drove them away (perhaps gave less importance to Rajputs later on but welcomed more Maratha and Deccani Hindu elite into Mughal service). More than anything else, he was an autocratic ruler of 17th century, when in most of Europe, it was impossible for anyone to have a religion other than the King’s religion and Spaniards were indulging in worst genocide in recorded history by wiping out whole continents in the New World. In his personal life, he was a narrow-minded Muslim that at times provided a certain colour to his actions, which otherwise also he would have done – like seeking ulema’s sanction (after defeating but ) before killing Dara or declaring war against (Shia-ruled) Bijapur and Golconda as Jihad. But mostly his religious belief did not interfere with his hard-nosed approach to real politics. 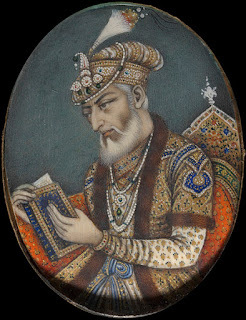 Aurangzeb saw himself as the divinely ordained ruler of Hindustan, something all his nobles – irrespective of their own religious belief – acknowledged. He underestimated Shivaji merely an upstart zamindar (perhaps undermining Shivaji’s support base) but he cannot be faulted for not recognizing him as a nationalist hero – there was surely no concept of nation for either Aurangzeb or Shivaji. Similarly his most successful commander against Shivaji, Jai Singh (highest ranking Hindu noble ever under the Mughals at 7000 zat/7000 sawar and the only person outside the immediate royal family to hold the post of viceroy of Deccan) could not even imagine allying with Shivaji on the basis of common religion. 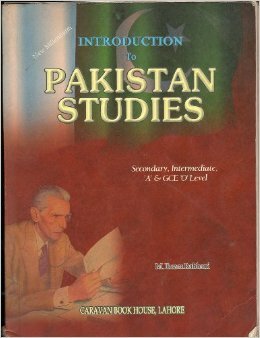 Standard Pakistani history text books merely relegate Akbar to a cursory mention between a brilliant Babar at Panipat in 1526 (though he defeated a fellow Muslim, Ibrahim Lodhi) and the eventual Mughal hero, Aurangzeb. It is our wishful thinking that we can change the course of history by re-writing text books or re-naming streets. Past cannot be re-made through our coloured vision of present – neither Akbar was the father of national integration nor was Aurangzeb a Pakistani hero – the real problem is our failure to accept the past as it was.